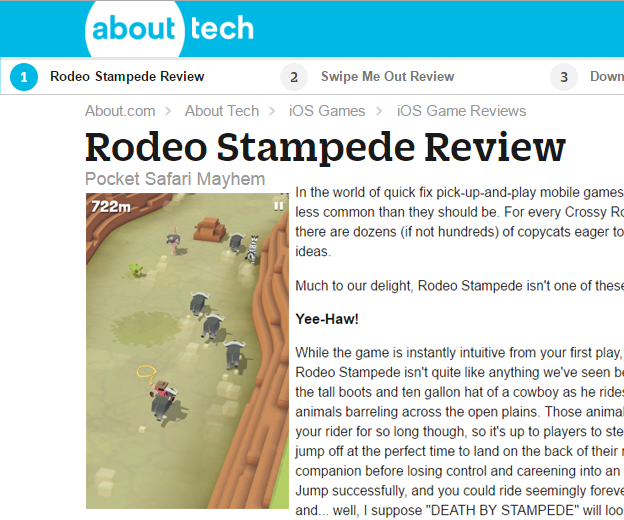 About Tech’s iOS games expert, Jim Squires, delivered his review of Rodeo Stampede, an endless rodeo adventure now available on Google Play and the App Store. In Rodeo Stampede, players acquire and ‘tame’ many creatures as they travel through different exotic locations, while also upgrading and expanding their own personal Sky Zoo. This entry was tagged Android, iOS, Rodeo Stampede, Yodo1, Yodo1 Games. Bookmark the permalink.